Canon has unveiled its new mid-range SLR, the EOS 7D Mark II. The long-awaited camera features a newly designed 20.2MP APS-C sensor with 100-16000 ISO range, dual DIGIC 6 image processor, a new 65-cross-type-point autofocus system, an optical viewfinder with 100% coverage, built-in flash and GPS, and 1040K dots Clear View II LCD monitor. The 7D Mark II has Full HD 1080/60p video recording function and high speed shooting mode of up to 10fps with ability to capture up to 31 RAW images or 1,090 JPEGs. The camera will be available in November for $1799 (body only) or $2149 (with an 18-135mm lens kit). 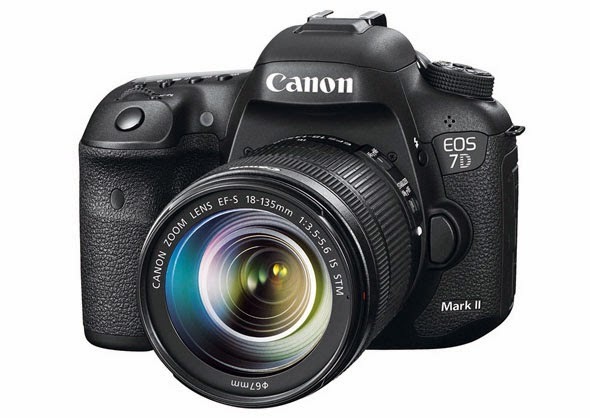 For the full list of compatible power accessories, please see Canon EOS 7D Mark II Accessories.